Gyokuro is one of the most expensive Japanese teas available and also one of the healthiest. It is grown in the shade, which causes an increase in the amino acids (theanine), caffeine and nutrients in the leaves, resulting in a sweet, vegetal flavor and a distinct aroma. The infusion has a pale green color. 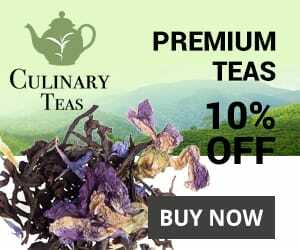 You can buy this high-quality tea in any specialty tea shop or through a number of online vendors. If you are unsure where to begin, you can check out some of my recommendations below. The preparation of gyokuro differs from other teas in that it requires a much lower water temperature of 50°C–60°C (122°F–140°F) as well as a longer steeping time and more leaves. For these instructions, I’m going give a method of approximating the correct temperature with a simple stove-top kettle. While the instructions I give here will result in a good brew, I highly recommend a more accurate method of regulating the temperature for a high quality tea like this one. The best pot to use for gyokuro is a traditional kyusu tokoname side-handled teapot. Pour enough boiling water into the empty teapot to fill everyone’s cup. The teapot should NOT contain any teas leaves at this point. Pour the water into each cup, filling it almost to the top. Pouring the water will cool it about 10°C, so pour the cups back into the teapot, then back into the cups for a second time. Put about two smallish teaspoons of tea leaves into the empty teapot for each cup of tea. The teapot I am using comes with an infuser, but if yours doesn’t, you can put the leaves directly in the pot. Pour the water in the teacups back into the teapot. Let the tea steep until the leaves unfurl, about 2 minutes. For the second infusion, you do not need to add any fresh leaves. Pour boiling water from your kettle directly into the cups and wait a few minutes. Here is where it becomes tricky to get a good temperature. You want the same water temperature as before, but the rate at which water cools depends on so many factors, that I cannot possibly judge how long you might have to wait. Let the tea steep 15 seconds (this may seem short, but is plenty, since the leaves have been soaking in the remaining water) then pour the brew into the cups, alternating cups as before. Distribute all the liquid, leaving the leaves as dry as possible. Depending on the quality of the tea you are using, you can get anywhere from 2 to 4 more infusions. Use the same method as you did for the second infusion, but add about 10 seconds to the steeping time for each infusion. If the tea is too mild, increase the water temperature; if it is too bitter, reduce the temperature. This is a very difficult tea to brew correctly. 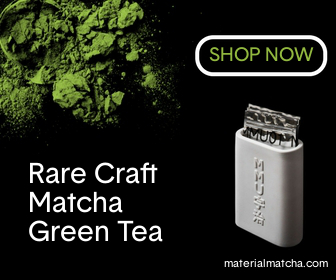 Many people do not like this variety of green tea and that’s usually because they’ve never managed to brew it correctly. Basically, you’ll want to keep experimenting until you come up with the perfect brew for your particular taste. When you do, all that work will be worth it. Gyokuro is the one highest quality teas available and few things beat a perfectly brewed cup. Many people already have an account with Amazon.com so it is probably the easiest place to buy tea online. Unfortunately, their selection of higher quality teas is generally lacking, especially when it comes to loose leaf versions. I haven’t tried any of their gyokuro and can’t really make a recommendation, but If I were to try some, I’d go with this organic gyokuro from Ocha or this one from Chado Tea House, since both of these companies specialize in Japanese teas. Personally, I prefer to buy from specialty tea shops online, especially for a high quality tea like gyokuro. The best one I’ve tasted outside of Japan is this Uji Gyokuro from Art of Tea. The Uji area near Kyoto is considered the tea capital of Japan and one well-brewed cup of this stuff will have you hooked for life. For more on gyokuro tea check out the Wikipedia page.